Picture this. If a stranger attacks you while walking down a street, how would you respond? Normal reaction would be to run away as you’re afraid to get hurt or fight against him. However, when you’re in a dead-end road and you can’t find anyone to call for rescue, you only have two choices: give up or, as mentioned, fight. But what if that dead-end road is a relationship? 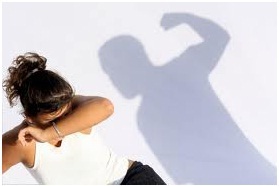 What do you do to protect yourself from physical, sexual, and emotional violence? In this article, we will share five immediate measures to protect yourself against abusive relationships and avoid further danger. If you sense that your partner is abusive in terms of any violence, you should determine when his rage goes up. This is the time to give excuses to stay away and leave. The reasons should be acceptable enough and make sure that he does not follow you through your escape. Also, you need to plan where to head to next. This must be a safe place where he cannot go to or does not have any clue of going. Think about your escape plan and focus on how you can do it without a problem. No one will believe you if you just talk about it plainly no matter how honest you seem to sound. A good way to prove the abuse is to take pictures, record videos of the actual scenes, and record voices to tape the event. If you can, find witnesses and bring them to the police station and other authorities for sanction. These people can intervene whenever you’re in an emergency situation and can gladly assist you for protection when you’re in need of a lifeline from abusive relationships. They can charge the abuser with assault association with breaking the law because of hurting a peer. When you run away, you don’t want to go back and face the abuser once again. So it’s best to prepare for a survival kit when you know you will be escaping from a heavy situation. Pack a set of clothes, get ready with your documents such as your personal files, important papers, cash, car keys, medications, address books, etc. Ask your neighbors, friends, colleagues, family members and other intimate folks if you can stay with them for a time. If you’re in another country or place where people closest to you are not available, you may reach out to a domestic violence/sexual assault program in your area. They are your best bets who can support your emotionally, offer you peer counseling, safe emergency housing, and other help. It is very important to create a strong support system at this time. Most abusers will say that they can change and you just have to wait until they do. Don’t believe that. Getting out from relationship violence is not easy. You will be the victim eventually and the abusive partner will not change. Whether it be pushing, throwing things at you, forcing you to do something sexual, giving threats, or embarrassing you to a full crowd, domestic violence will happen all over again. Unhealthy relationships exist because they are tolerated or the victimized partner is not aware and properly guided on how to respond against the abuser. If you are experiencing relationship violence, consider acting on these five steps to save yourself from much trouble now. Treisha is a portrait of a modern-day Party Girl. Nights of dancing and socializing are not uncommon in Treisha’s life, but she claims to know and respect her limits. When responsibilities and opportunities align themselves, she knows how to prioritize them and keep them in order. Treisha works part-time as a blog manager and writer for Uratex Blog.